The Apprenticeship Levy was introduced back in April of 2017 as a way for businesses to fund staff development through apprenticeships or other training. Businesses with an annual wage bill of £3 million or more pay 0.5 per cent of this amount into the fund, however, a poll carried out by YouGov revealed that 58 per cent of staff in the survey knew nothing about the levy. It is only 3 months until unspent levy funds are returned to the Treasury. With many employers still not investing in training, The Apprentice Academy is here to help. 29 per cent of employers surveyed viewed the levy as a tax on business. Furthermore, a report last April found that 92 per cent of funds in digital accounts had not yet been used. Levy funds are spent on the training and assessment provided to an apprentice on an approved Apprenticeship standard or framework. It can’t be spent on things like internal training or apprentice wages. The funds are accessed through a digital apprenticeship service, or DAS account that employers are set up on when signing up an apprentice. This account links to PAYE schemes. Digital vouchers are used to reclaim levy contributions. Employers can use these vouchers to pay for training apprentices. All our apprenticeship programmes can be funded by the levy, these include our Accounting, Leadership and Management, Procurement and Business Administration programmes. As long as your employee or future employee is on an Apprenticeship programme, you can fund their training through the levy. However, there are only 3 months remaining to do so! Accounting Level 2, 3 and 4 programmes for both experienced staff and new comers to the Finance world. Business Administration – This apprenticeship is part of our Future Talent programme. Leadership and Management – Level 3 and 5 programmes aimed at Team Leaders and Managers. Procurement – A specialist apprenticeship for individuals in a procurement role. You can learn more about the Apprenticeship Levy and what it means for your business here. 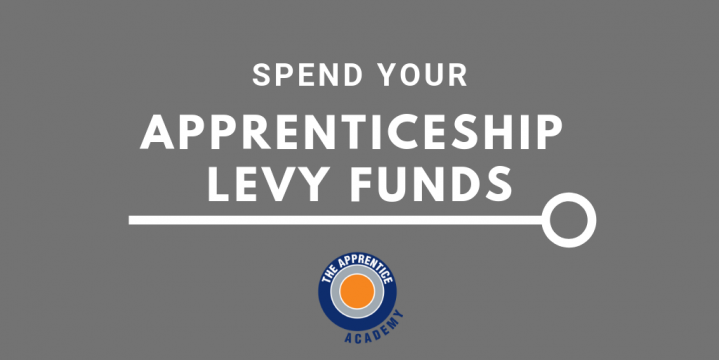 Contact us The Apprentice Academy for more information on how to use your Levy funds for Apprenticeship training here.